Halina Duraj, whose debut short fiction collection, The Family Cannon, was published by Augury Books this past January, will appear in this year’s O. Henry Prize anthology. Widely regarded as one of “the most prestigious awards for short fiction” (The Atlantic Monthly), the O. Henry prizes are awarded each year to twenty short stories selected from the pages of thousands of literary magazines. Duraj will appear alongside such luminaries as National Book Award winner Louise Erdrich and Whitbread Award winner William Trevor. Duraj’s short story “Fatherland” originally appeared in Harvard Review. 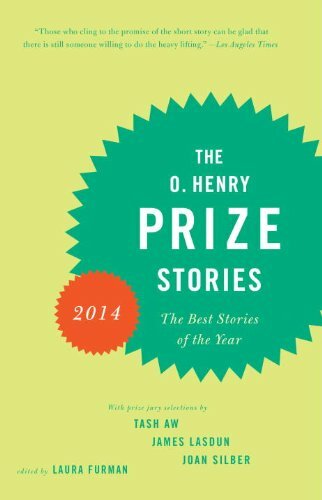 The 2014 O. Henry Prize anthology was edited by Laura Furman and will be published by Anchor Books in early September. Publishers’ Weekly has a full list of the O. Henry prize winners. Order THE FAMILY CANNON new from Augury Books here. Submit your manuscript to Augury Books — Our reading period is open! This entry was posted in Art, Augury Books, Awards, Creative Writing, Fiction and tagged Atlantic Monthly, Halina Duraj, Harvard Review, Laura Furman, Louise Erdrich, O. Henry prize, Publishers' Weekly, Short Fiction, William Trevor. Bookmark the permalink.